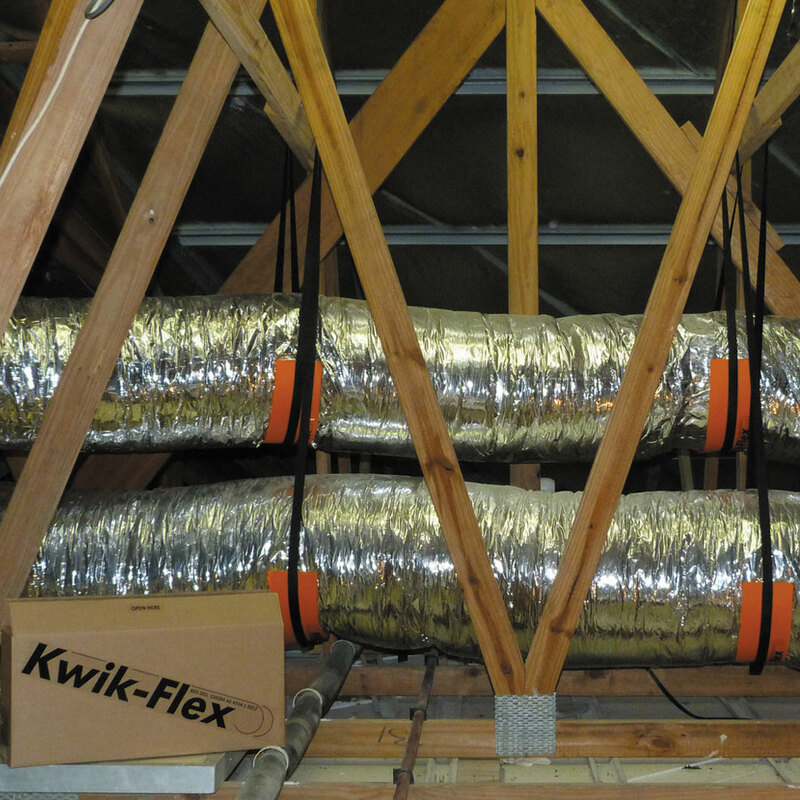 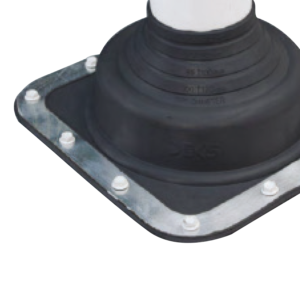 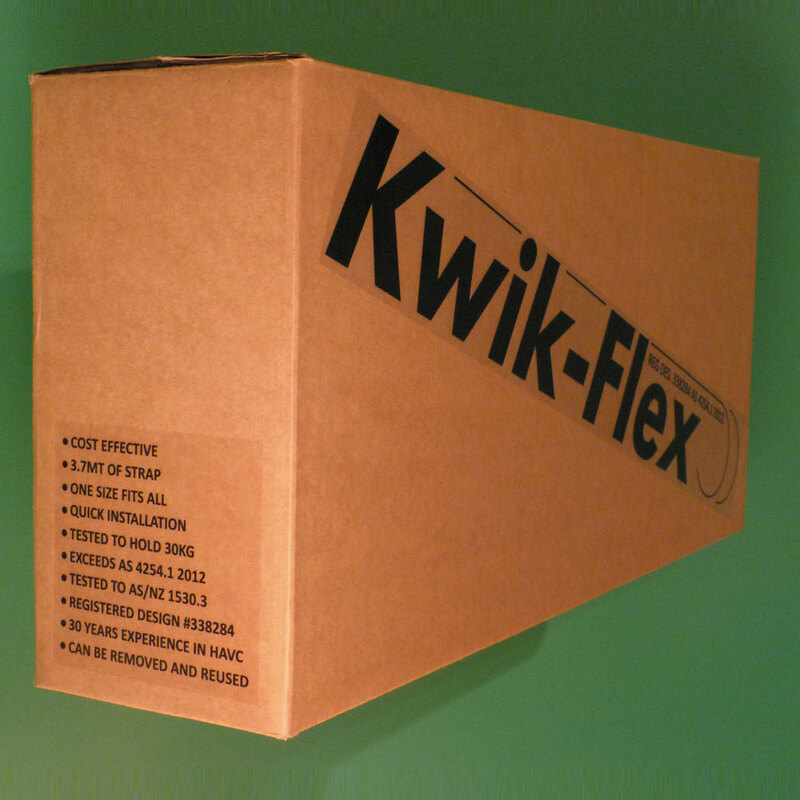 Kwik-Flex is a flexible duct hanging / support system designed to meet the installation requirements of Australian Standard (AS/NZS) 4254.1 (2012) for use in all Commercial / Domestic and Industrial applications. 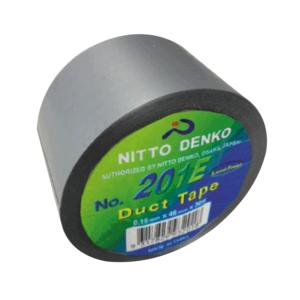 Commonly used hanging products like 25mm blue strap or metal perforated strapping with or without various mesh products, can strangle the flexible duct or even cut the outer jacket of the flexible duct. 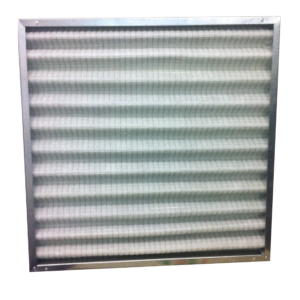 This leads to poor performance of your system, increasing running costs. 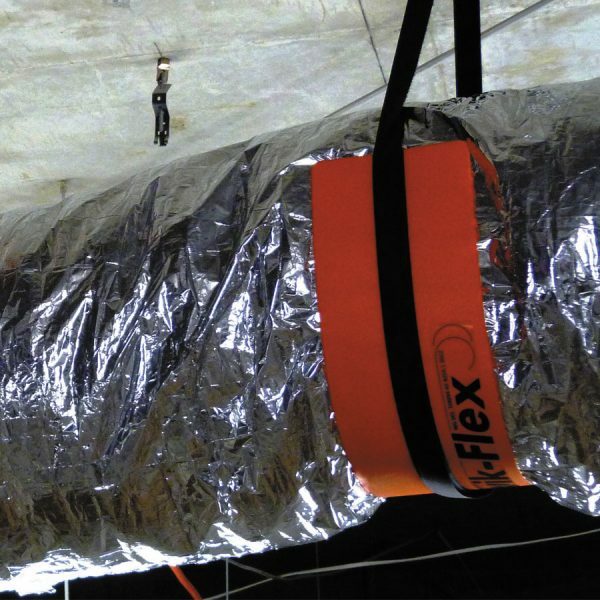 Studies in both Australia and the USA show that there can be up to 40% thermal energy loses in flexible ducting due to poor installation practices. 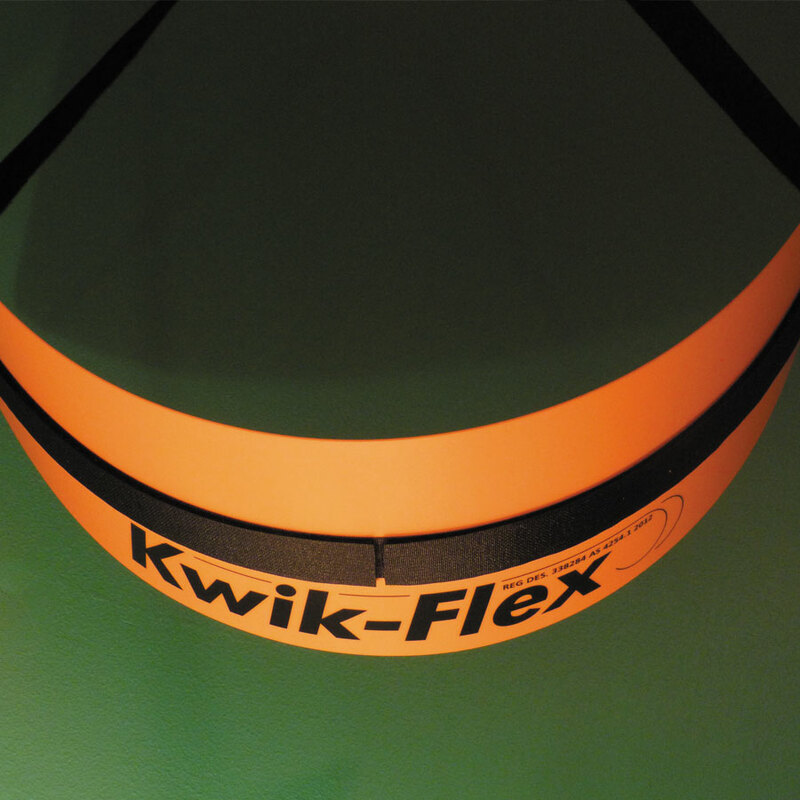 Kwik-Flex ensures the efficient operating of your ducted air-conditioning, heating or evaporative cooling system.